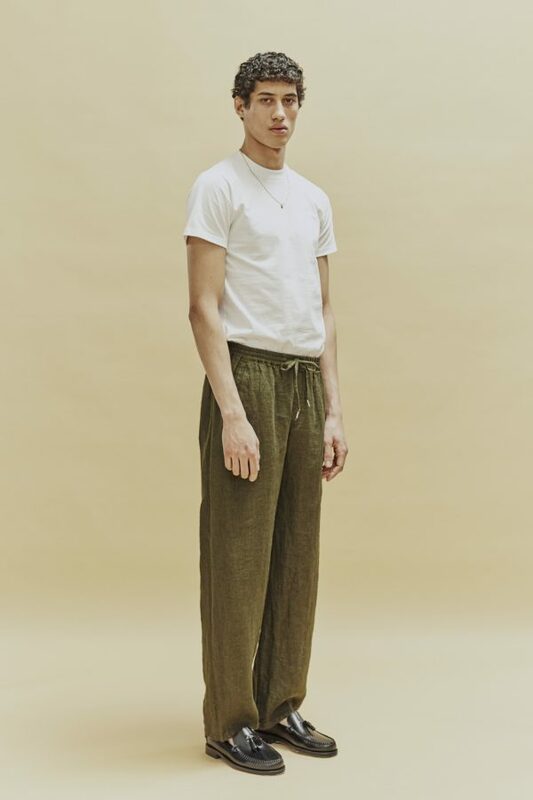 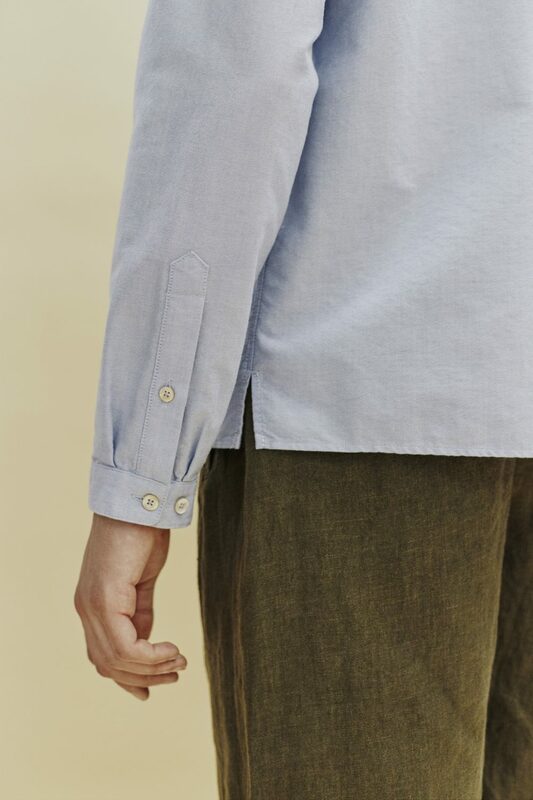 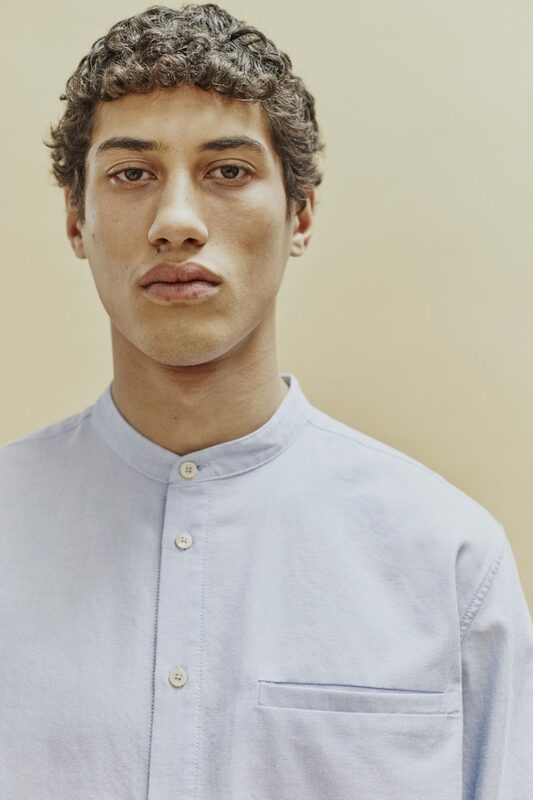 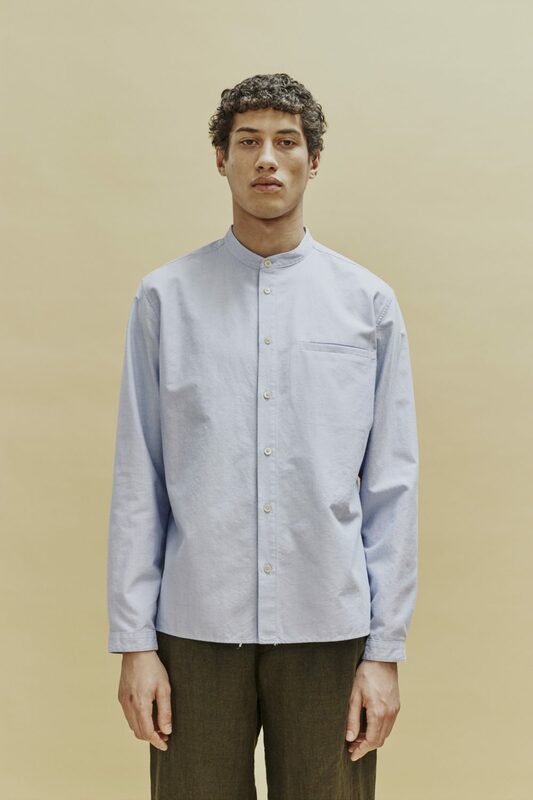 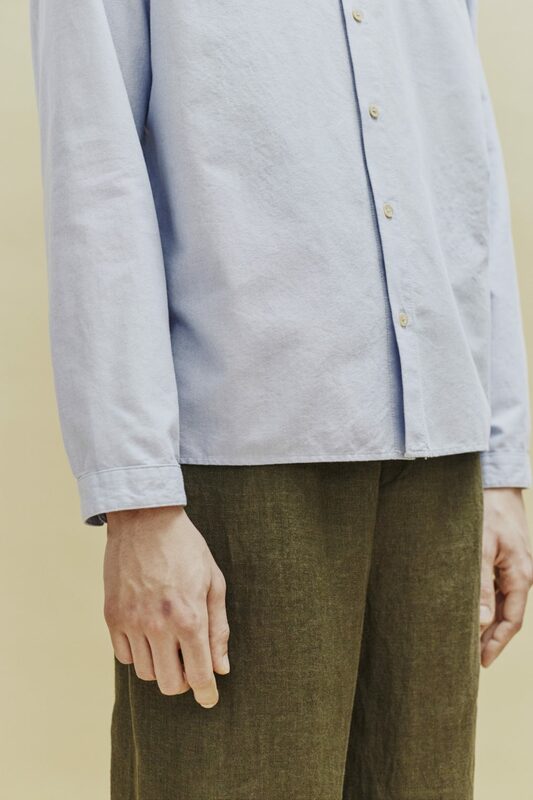 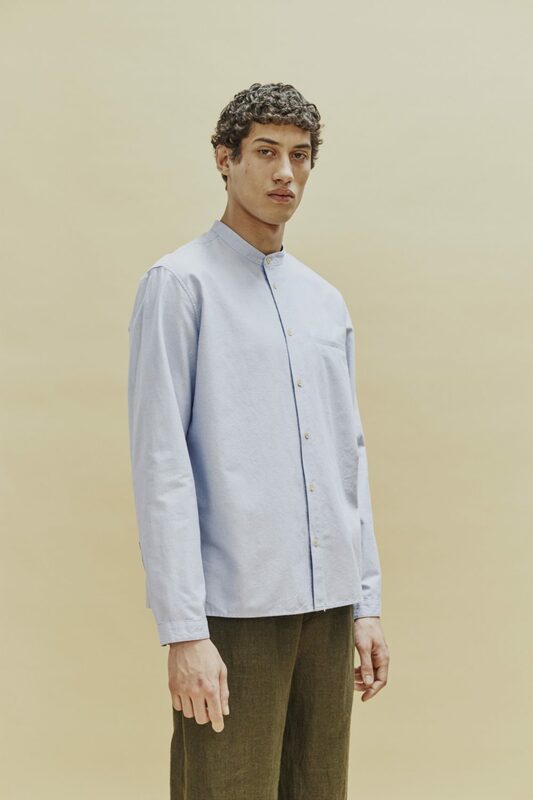 Long-sleeved shirt with a slightly boxy fit, slotted side seams and adjustable cuffs. 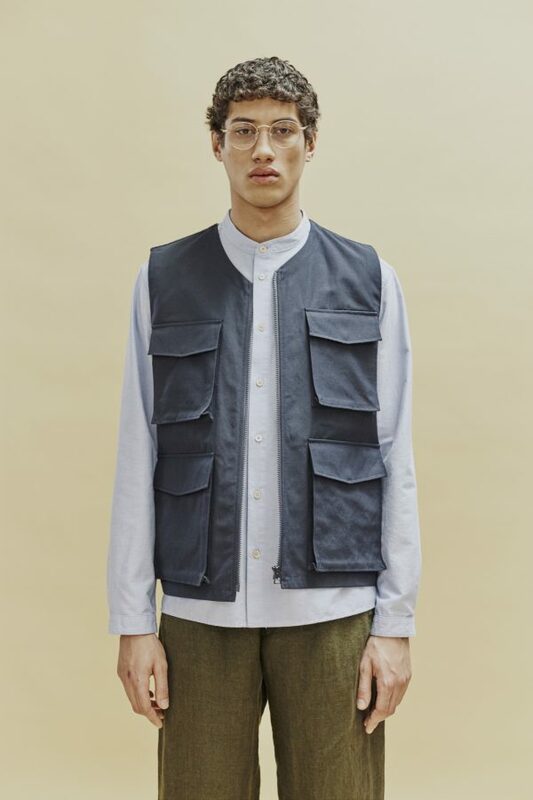 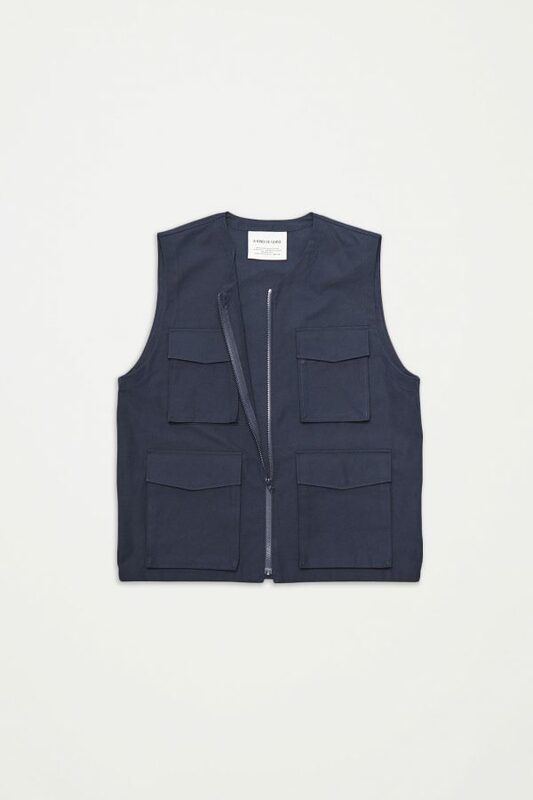 Has a short banded collar and a single bound pocket. 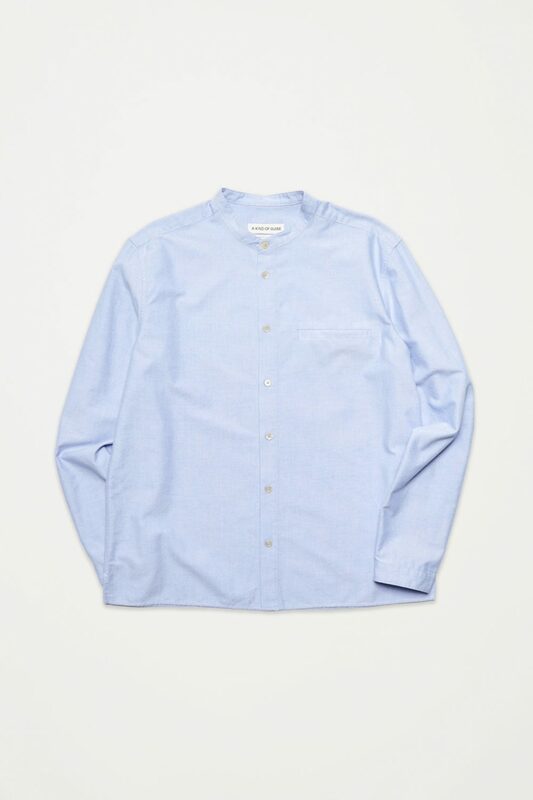 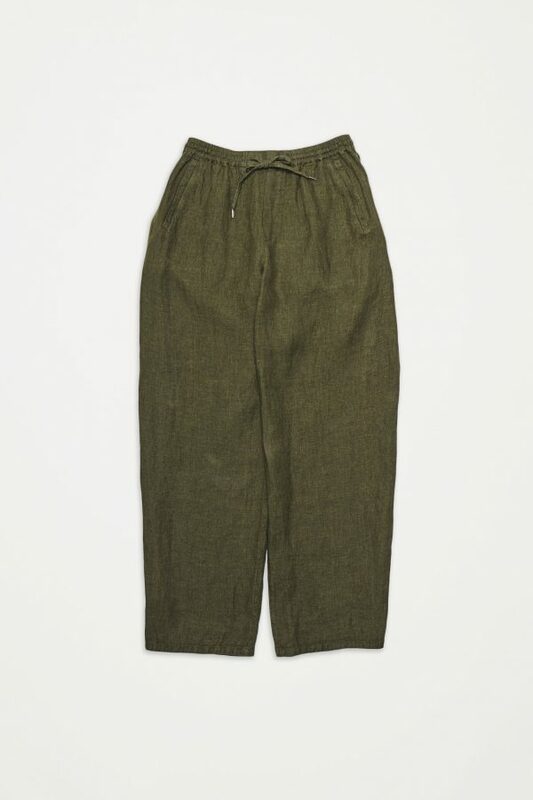 Cut from a super comfortable and soft cotton.